The biggest dream for all the bloggers is to get approval from Google AdSense. 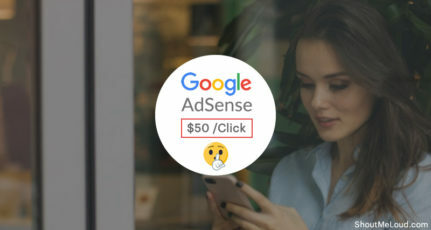 But sometimes bloggers fail to make money through Google AdSense, the fact is that there are lots of myths about Google Adsense. For new bloggers it becomes very tough to differentiate between facts and myths, what to follow and what to avoid. 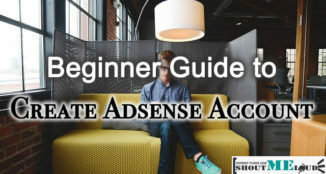 You should avoid this thin line of confusions and then apply the tips for Google AdSense on your blog. I came across few myths about Google Adsense, which might affect your Google Adsense earning. 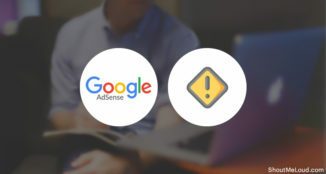 For you or any AdSense publishers, it’s good to know about these myths, and focus on those things that will help you to increase your revenue. When I started with blogging, I only used Google AdSense ads because I used to feel same that once my Google AdSense gets approved, I will start earning handsome money through it. This is not how it works. I won’t say it is impossible for everyone, but for a newbie or intermediate blogger it takes a lot of time to earn in millions. Saying that my suggestion is to don’t rely solely on AdSense for earning. Like many other professional bloggers, you should also use products, affiliate marketing & few other techniques to make money from your blog. This is the very common tendency among bloggers; it is good to take advice about placing Google ads on your blog as others have placed. But there is no sure and shot design or size that can give you good earning through Google Adsense. The Ad size & placement that worked for others, might not work for you. Thus, you should never copy other bloggers Ads designs or size. Use Banners and Ads which suits your blog layout and content. 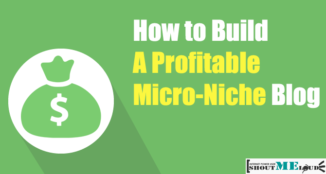 Most of time Adsense earning depends on your niche and keywords. There are Image Ads, Inline Text Ads, link unit Ads. Few bloggers think that only image Ads are worth using because they are easily visible by visitors. But the reality is that visitors are more likely to click on text Ads if they blend properly to your blog contents. You should not ignore link unit ads and inline text ads, you can earn good income if you are using your Google Ads effectively. Bloggers think that they will get more clicks if they have constant regular and loyal visitors on their blog, in fact the truth is, that your regular visitors knows where you place your ads and thus there are fewer chances that they will click on those ads unless you don’t keep on changing them. There are chances that you will get more clicks from new visitors. There are websites that can provide you huge traffic on your blog. As Google Adsense is a huge player in the market, thus there are chances to have more rumors around it. But you don’t need to worry about earning through Google Adsense, you can get lots of tips about Google Adsense on Shoutmeloud. 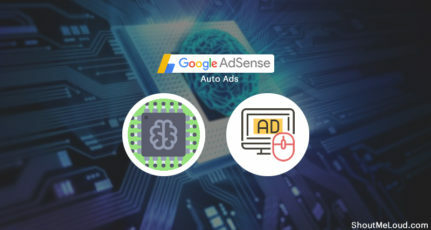 If AdSense does n’t work for you, it’s time for you to try these alternative Google AdSense program. What could be the other misconceptions about Google AdSense? Share your views? A Shouter who love to help the blogging community grow. Nice info .My adsense account was banned years ago.Still trying to get it back.Hope they will unban me ! Wish you luck Siddharth :). Nice read Ruchi 🙂 . 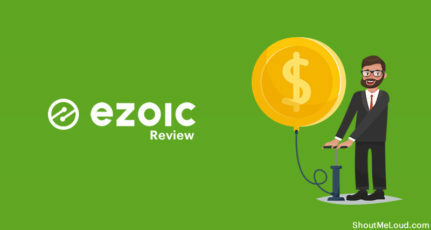 Good for newbies in blogging as they think that they can start making money just by placing adsense in blog. Glad you like it Shabnam. When I started with blogging, I used to be very confused with Adsense, hope newbies find the post useful :). Inline text Ads as in the text Ads which Google adsense provide. Google is also supporting people to get more more by placing ads at proper place and use bid ad units. 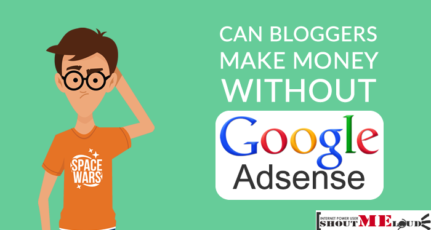 Agree with you Anish, but bloggers hardly knows about the tips and support system of adsense. Well one more important myth which needs to be shattered is that Google is out there to eat up your time and money through adsense! Well, while I can’t absolutely rule this out, I’ve never heard of someone not having done anything even gray and yet got banned. Why would they risk losing tens of billions of dollars by not giving a couple of hundred bucks to even a hundred adsense users? Thanks Samir for adding valuable myth, I totally agree with you. Earning $100 takes too much time for me.. i am trying to reduce the time span. Then only i will think about millions. Which is possible. Wish you luck with your Adsense earning ;). For a site like mine what would you prefer?Content protection using cpalock or similar or adsense,I saw my adsense earnings go as low as a few cents per day instead of making atleast a few dollars every day.Rather I’m getting conversions only from the content protection stuff. I am still confused on how I can let my sites visitors view my site without and also making me adsense money?